A CRM, or customer relationship management program, is a special application that is designed specifically to store, analyze and use data for all of your business contacts or clients. While it can basically be used as an easy reference tool for retrieving contact information, this type of application usually has more profound analytical and integration applications. When used effectively, a solid #CRM program may help you to improve #business relationships, build loyalty and boost profits. Who Needs to Use a CRM? Before you invest in a CRM and start using this technology regularly, you may be wondering if this type of technology is well-suited for your business activities. Regardless of your business model and target audience, you likely must maintain a client list and use it for different purposes. You may think that your business does not currently need a CRM because it is relatively small. 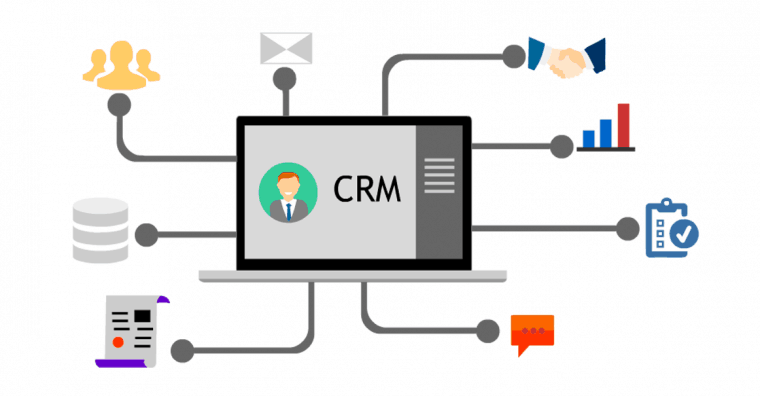 However, gradually you can add more clients to the CRM and start to reap the benefits from the use of the CRM’s powerful applications as soon as possible. Some of the leading CRM solutions on the market today include Zoho and Salesforce. When most people think about WordPress, they think about a blogging application. However, with a closer look at how WordPress can be used for your CRM solution, you may determine that this is the right solution for you to start using soon. Your company may already use WordPress. You are familiar with its applications and features, so there is a minimal learning curve. The plugins for WordPress as a CRM are easy to integrate. The Users Insights plugin is available to easily and quickly download, and it can begin collecting data to fill the CRM without delay. The use of WordPress as your CRM program is affordable. For example, the Users Insights plugin is available under three annual plans, and these plans range from $99 to $449 per year. WordPress is open source. This means that it is cost-effective and can easily be customized or modified to fit your unique needs. Data will be stored on your computer rather than on a remote server. This elimination of a third party can save time and may help you to keep your customers’ data safer. Because the Users Insights plugin is essential for the use of WordPress as a CRM, it requires a closer look. Once this plugin has been installed and is actively being used, it will gather data about users behind the scenes. This may include the type of smartphone that they are using, their geographic location, the products they purchased, when they last visited your website and more. This plugin also takes into account data that you have already gathered as well as data that has been extracted from other plugins and sources. Once the data has been collected, it is then compiled into various user groups. This is done through the use of various filters that are available with the plugin. For example, you may want to create a list of all male shoppers from the East Coast who purchased a specific shirt. With refined lists such as this, you may be able to customize your marketing messages to appeal specifically to that group. This way, your marketing efforts may be more effective. While gathering data and sorting it into groups is important, WordPress as a CRM goes a step further. It has powerful analytical tools that can be used to help you learn more about your users or customers. You may learn who your most active customers are, how your users use your website content in different ways and more. Numerous report formats are available, and they can be customized to fit your unique needs. Through WordPress used as a CRM, you can also export all of the data that is collected. The application converts data to a .CSV file for you to import into many other applications as desired. This enables you to maximize the benefit of using this program as your CRM. While there are multiple CRM programs that are available for you to begin implementing, you can see that the WordPress CRM may be most advantageous to you in various ways. This is a program that is affordable and easy to use. You may already be comfortable with its layout, and multiple plugins and filters are available to help you accomplish your goals. Spend a few minutes learning more about using WordPress as your CRM to determine if this is the right solution for your company to use. Published on January 29, 2019 by Eric Gordon; modified on January 27, 2019. Filed under: CRM, WordPress.